Once the intro to opener “Human” gives way to its fully-realized sonic purpose, it’s obvious that Harlan T. Bobo’s fourth proper album, A History of Violence, is quite different from his previous body of work. The classic historical emotional heft of a songwriter trying to make sense of life’s chaos, think mid-70s Lou Reed, especially Coney Island Baby, is a thread that can be heard running through the album’s mid-tempo tracks like “Human” and the miniature literary tragedy that is “Nadine”. The punchier tracks on the album, like “Spiders”, might conjure very early Green On Red, what X’s mid-80s output could have been, or even the roots-rock tendencies of overlooked genius. Though this is the first proper full-length by Harlan since 2010’s Sucker, the last eight years have in no way framed a musical hiatus of any sort. Bobo contributed to The Memphis Symphony Orchestra’s conductor-less “Opus One” project for the 2010 and 2011 seasons, in which his original songs were classically arranged by participating MSO players and performed as chamber pieces for non-traditional audiences at rock clubs. Also in 2011, Harlan, and fellow Memphis music notables Jack Oblivian and Shawn Cripps (Limes) successfully Kickstarter-funded a 40-show “Memphis Revue” style tour through Europe. Already splitting his time between Europe and the States as this decade opened, Bobo continued to perform solo and tour Europe as such while also forming a Memphis super-group of sorts known as The Fuzz in 2013, which included former members of 90’s scuzz-punks Action Family and Thomas Jefferson Slave Apartments. Playing 2013’s Goner-Fest 10 and subsequently releasing a self-titled album of garage-ragers on Italy’s Munster Records later that year, The Fuzz (not to be confused with Ty Segall’s band of the same name) expanded Harlan T. Bobo’s musical frame of reference nicely. Bobo established his base of operations as Perpignan, France, in 2014, the hometown of his then-wife and where Harlan has also been busy raising their son. 2014 also saw the re-release of Bobo’s much-heralded 2006 album, Too Much Love, via both Goner Records stateside and France’s Beast Records. By 2014, Harlan T. Bobo had amassed two album’s worth of solo material for the planned follow-up to Sucker. However, as they say, life has a way of intervening in dramatic and not entirely positive ways. If the new album’s candid gloom is any indication, the last few years in Europe raising a son and trying (unsuccessfully) to keep a marriage together has been difficult, to say the least. 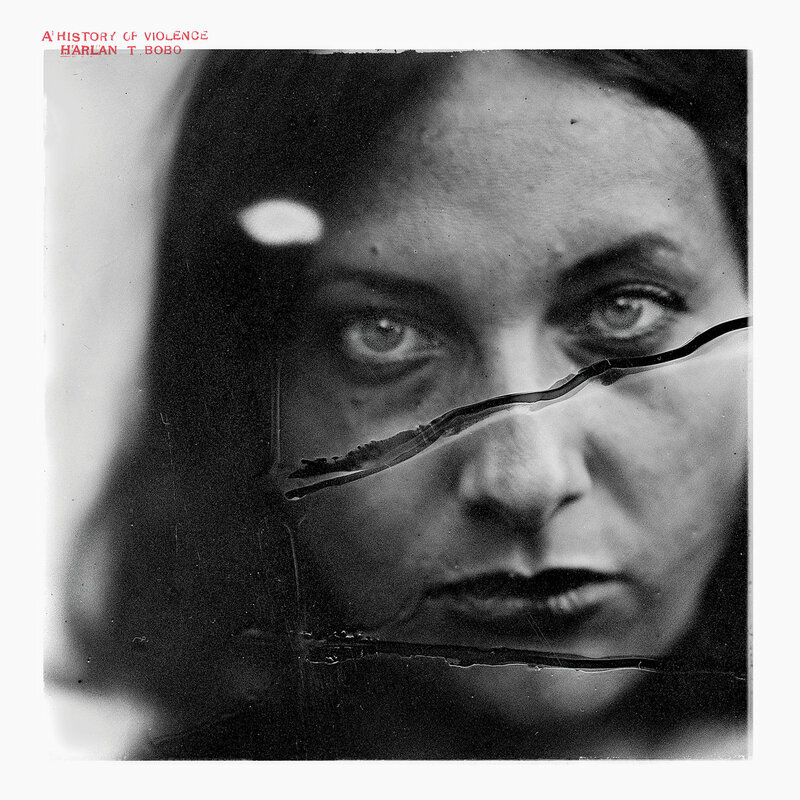 A History of Violence still highlights Bobo’s whiskey-and-cigarette-informed vocal style, and on the more intimate tracks, it’s a distorted ear candy that warbles into increasingly sunken, uncomfortable places, like that of the songwriter with which comparisons have followed Bobo throughout his career: there is a richer canvas on which to work this time out, not to mention a decidedly heavier and darker one. The album was recorded in Memphis with Doug Easley, who has previously worked with Cat Power, Pavement, Wilco, Sonic Youth, Jon Spencer, and Jeff Buckley. Bobo also brought in Steve Selvidge (The Hold Steady, Bash & Pop) on bass and Jeff “Bunny” Dutton (Action Family) on guitar, along with regular contributors Jeff Bouck (Polyphonic Spree) and Brendan Spangler (Viva l’American Death Ray). The result is a naturally dynamic album that seems equally at home with howling guitars and heavy bass lines as it does with haunting piano and humble pleas. A History of Violence is Bobo’s most complex — and complete — album to date.